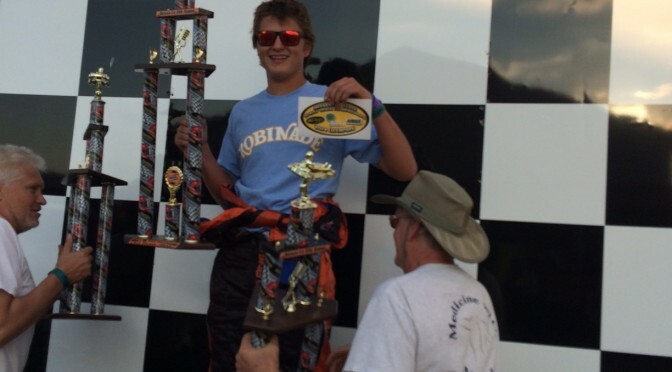 BC Race Cars Inc is pleased to announce Jordan Bernloehr as the driver of our #07 BCR Chevy Camaro for the Trans-Am TA2 race at New Jersey Motorsports Park, June 21 , 2015. 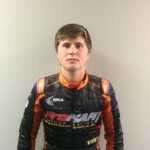 Jordan has extensive experience and has enjoyed great success at many levels of karting, including numerous championships in NRKA, MKA, and Briggs and Stratton. 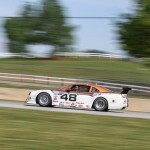 He has also competed, and won, in Chump Car while setting the fastest lap of the race. “ We are excited to bring new, young talent to the Trans-Am series and feel honoured that Jordan chose our team to help him in his first professional sedan race. 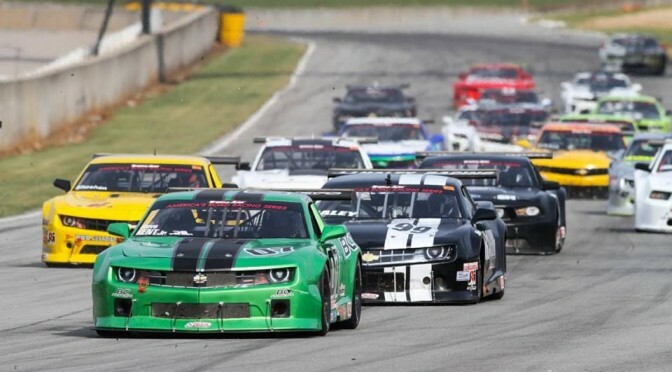 It also speaks highly of the series itself, as up and coming drivers are looking at Trans-Am as a viable stepping stone” says team principal Blaise Csida. We look forward to working with Jordan and are striving diligently to secure sponsorship for the balance of the season for this talented young man. 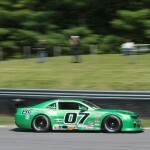 Beautiful weather and scenery marked round 4 of the SCCA Trans-Am event at Lime Rock Park, CT. BC Race Cars had only one car running in the highly competitive TA2 class, our house car the #07 Camaro driven by Steve Kent Jr. Neither us nor our driver has ever raced at this track. With the very limited track time available this weekend, we were under the gun to get the set-up right and help our driver learn the track as quickly as possible. As such, many gear changes and set-up changes were made, compromising both our practice and qualifying sessions. We were disappointed with our 13th place qualifying and decided to make a last, major set-up change prior to final practise. Steve reported that the car was better than ever, which gave us some much needed hope for the race. As usual, Steve made up a number of spots on the start, and continued to slowly but surely work his way up the field. We were never quite up the pace of the leaders, they were just able to inch away, lap by lap. Regardless, our car ran flawlessly, the tires stayed consistent throughout the race, and Steve was able to drive to a much deserved 9th place finish. While not the result we were hoping for, we felt satisfied with our accomplishment. 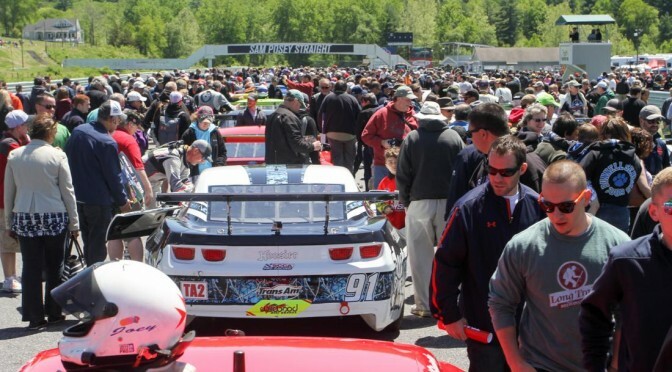 Next up is New Jersey, where BCR is happy to have two cars running. More to follow………. 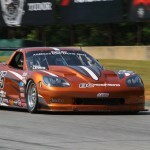 BC Race Cars Inc. was excited to have 3 cars running at the famous and challenging Road Atlanta circuit. We acquired a new trailer that can accommodate 4 cars and were anxious to try out our new set-up. 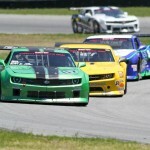 In TA2, Steve Kent Jr. was again piloting the BCR #07 Camaro, with team mate Mike McGahern returning to the series in his #48 race car. Having two cars really seemed to help as the drivers were able to compare telemetry and we were able to sort the set-ups quicker. In Ta, Allan Lewis was carrying the BCR flag, having rebuilt the car over the winter and installing a new electric power steering system, that we had only tested briefly at Mosport. Allan struggled a bit in practise and qualifying but we were hopeful for a the race as his car tends to be very consistent over the 100 mile race. Unfortunately, he collided with a TA3 car while trying to make a pass, ripping his nose wide open, and subsequently loosing his hood at 185 mph! He pitted numerous times to secure underhood items that were ready to fly off, but still managed his fastest lap of the weekend and came in a respectable 12th, although a few laps down. 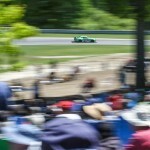 In TA2, 38 cars took to the track, an amazing number for a single class in any event. In this ultra-competitive series, we were satisfied with Steve’s 9th place qualifying effort and Mike place 19th gave us a different race strategy. Unfortunately, Steve’s transmission hang up in 2nd gear, forcing a pit stop that would eventually put him a lap down and in 20th position at the checker flag. Too bad, as he was driving with the lead group, we obviously had the speed, just not the luck on our side. Mike McGahern drove perhaps the best race of his career, avoiding some horrendous wrecks in front of him. He was fast and he was steady, and had plenty of car left at the end when it counted. 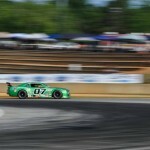 He finished 11th, not a small feat in a series with so many pro drivers! Congrats to him and the crew for a job well done!